Earlier we have covered apps which can get you Paid Android applications for Free such as App of the day. 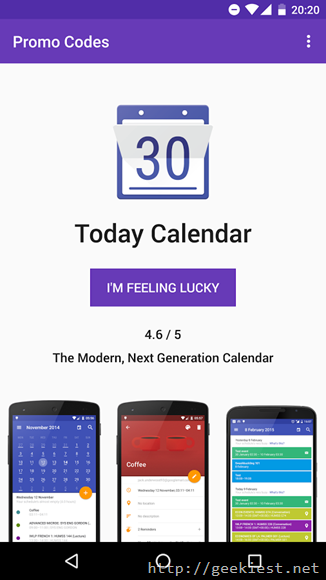 Those apps will assure you that you will get one android application everyday for sure. Now a new application named “Promo Codes” is launched. This application, unlike the previous ones will be providing applications or games for the lucky ones only. You just need to open the application and click the “I’m feeling Lucky” button. If you are lucky, you will receive the application for FREE. 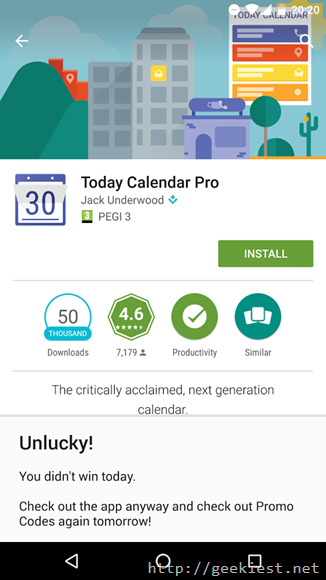 If you are unlucky the application will redirect you to the paid application page on the play store. If you are not lucky enough to get it today, try your luck next day. So common install the promo code application from the play store and try your luck. 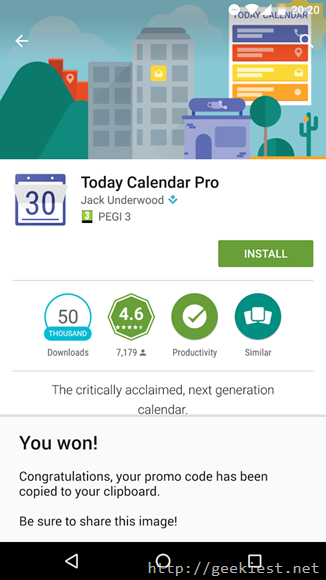 Get a paid Androiud application or game every day for free, try your luck.